MOTU is now shipping Digital Performer 7.2, a free update for all DP7 users now available for immediate download at motu.com. Version 7.2 adds new features and enhancements, including customizable UI Themes, which allow users to completely change the look and feel of Digital Performer's entire user interface with one click. Power users with basic Photoshop skills can even create their own themes by duplicating and modifying the factory-supplied themes, which are stored as standard .png graphic files in the Mac OS X Application Support folder. 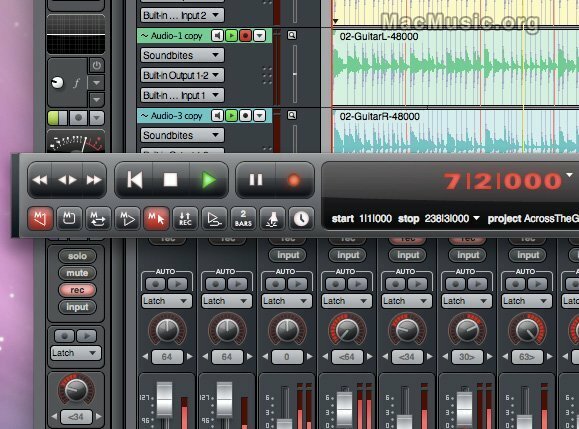 Users can also fine-tune waveform display colors and the color of audio level meters to carefully match their favorite theme. Other new features introduced in Version 7.2 include right-click menu access and live searching in list windows.